James Demmel received his B.S. in Mathematics from Caltech in 1975 and his Ph.D. in Computer Science from UC Berkeley in 1983. After spending six years on the faculty of the Courant Institute, New York University, he joined the Computer Science Division and Mathematics Departments at Berkeley in 1990, where he holds joint appointments. Professor Demmel is an ACM Fellow, a SIAM Fellow, an IEEE Fellow, and a member of both the National Academy of Engineering and the National Academy of Sciences. 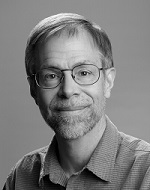 He has also won the IEEE Computer Society Sydney Fernbach Award for "computational science leadership in creating adaptive, innovative, high performance linear algebra software."